When you look out your window, it may seem like weeds are overrunning your yard. In the flower bed, the garden, the grass, and even cracks in the sidewalk. What’s a homeowner to do? You can pull them, but if you don’t get the root out they’ll just grow back again. The three certainties in life? Death, taxes, and weeds. Crabgrass, dandelions, and other invasive grasses are particularly hard to eliminate because you need to kill the weed without killing your lawn too. Invasive plants like ivy are also tough, because of their extensive root structure. Professional landscapers do have some advice to offer for homeowners who have had it with weeds. If you’re pulling weeds by hand, try to get every factor on your side. For example, pull when the soil is wet, use gloves to get a better grip, and pull with both hands. Use spades, hoes, and rakes to loosen up the dirt around weeds, making them easier to pull out. Once you’ve pulled the weeds, add mulch to your flower beds and garden to smother weeds and prevent them from growing back. For any weeds on your lawn, prevent them early in the season by applying fertilizer to strengthen the turf. Taking the time to do this will save you time in the long run. For any dandelions, crabgrass, and other weeds you may pull, get rid of them immediately. Letting them linger in your yard for longer than necessary can cause the seeds to spread, negating any work you’ve just done. Growing any type of plant requires a lot of patience. Sometimes flowers won’t grow enough or at all, and other times they grow out of control. Plants like ferns, daisies, and mint are invasive and, over time, will spread beyond your garden beds and onto your lawn. Even experienced gardeners have a difficult time containing them. Other beautiful flowers like roses, dahlias, and calla lilies are hard for novice gardeners to keep alive, leading to mounting frustrations. If you enjoy the beauty of flowers but hate the accompanying work, speak to an expert at a local nursery to learn what flowers thrive in your region but will require little maintenance. When pests keep digging up your yard, the easy thing to do would be to give up entirely and let them run amok. However, doing nothing just contributes to the destructive cycle that these pests live in. First, thatch and compact soil build up on your lawn, creating the perfect place for grubs, worms, and burrowing insects to live and feed. Then, moles and voles come to eat the grubs. 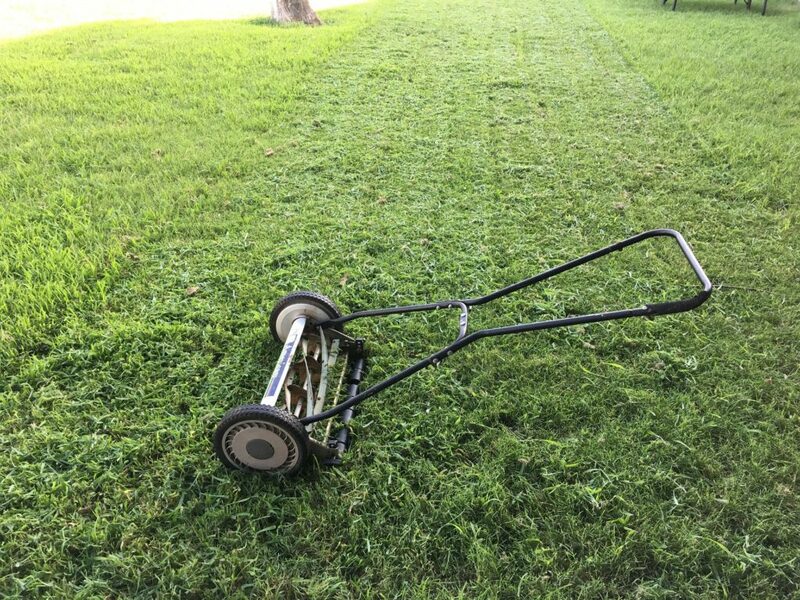 This makes your lawn bumpy, cracked, and unpleasant, discouraging you from doing work. Then the cycle continues. Take simple steps to break the destructive cycle of grubs, moles, and voles. Start with dethatching your lawn, taking away the grubs’ food source. Next, hire a pest control company to come and spray for the grubs. Once their food source is gone, voles and moles will move along too. Each season comes with its own type of yard work to be done. Winter requires snow removal in most areas, spring is for fertilizing and planting, summer needs mowing and weeding, and fall has back-breaking raking. It all gets monotonous pretty fast. If you really can’t stand the work that having a yard requires, there are a few things you can to do ease your load. First, there are lawn care services you can hire to make your lawn more beautiful and easier to take care of. Additionally, there are landscapers who will come and do all types of yard work. You can also eliminate the elements that are causing the most strife. They key to a good looking yard is to just get out there and start diligently doing the work. The longer you put off doing it, the worse everything will get. If you can’t stand the thought of maintaining your lawn, hire for lawn care in Orem or wherever you may live.